3 Packs of Orbit Gum only $1.24 w/ Coupon! 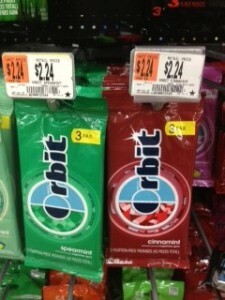 Bring this coupon to Walmart to get a good deal on Orbit gum! = $1.24 for 3 packs!